We rely on donations to sustain our activities. Help us make a difference in the world! Donations of any size are deeply appreciated. They can be sent to donate@ihelpliberia.org via Paypal. We will also gladly take material donations of science or math textbooks, lab equipment, or other teaching supplies. Please contact us if you would like to donate materials. For those in the Hunter College High School community, items can be brought to Mr. Randolph’s office in room 409. The I-HELP Liberia Project is a registered 501(c)(3) tax-exempt nonprofit organization. Donations are tax-deductible. A great way to get involved in our cause and experience authentic Liberian culture, our bi-annual benefit concerts are both a celebration and the source of funding for our medical student scholarships. Preliminary details on our first concert of 2017 are available on our events page. There’s always a way to get involved as we further our reach. Write to us at admin@ihelpliberia.org if you would like to work with us. 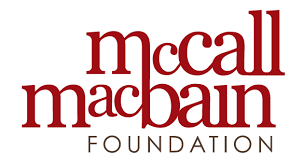 We thank our generous sponsors, the McCall MacBain Foundation and the Phelps Stokes Fund.